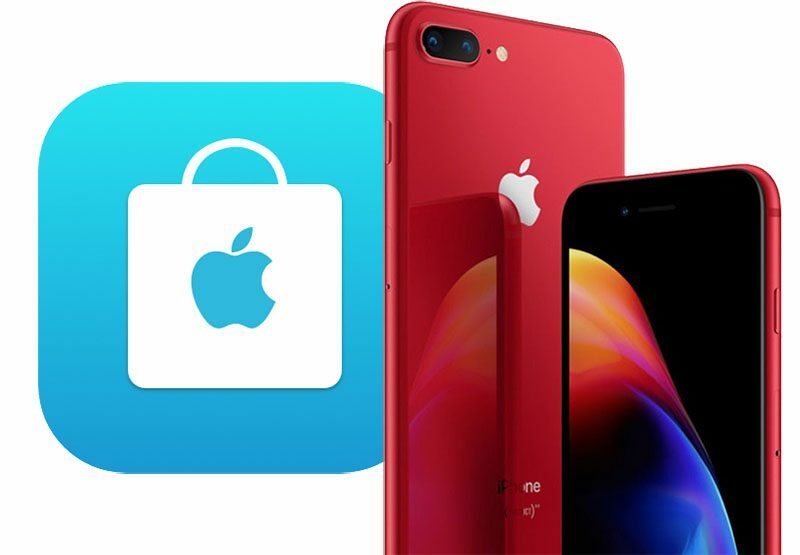 As promised, special (PRODUCT)RED editions of the iPhone 8 and iPhone 8 Plus unveiled yesterday are now available to order on Apple.com and through the Apple Store app on iPhone and iPad in the United States and several other countries. The new models are available with 64GB or 256GB storage for the same prices as the equivalent iPhone 8 and iPhone 8 Plus models in Apple's standard space gray, silver, and gold colorways, which remain available. The first deliveries will arrive to customers Friday, April 13, and in-store availability at Apple Stores and select authorized resellers will begin on the same day in the United States, Australia, Canada, China, France, Germany, Hong Kong, Japan, New Zealand, Singapore, and the United Kingdom. While the (PRODUCT)RED edition iPhone 7 and iPhone 7 Plus had white front bezels, the iPhone 8 and iPhone 8 Plus versions have black front bezels. Otherwise, these iPhone 8 and iPhone 8 Plus models are identical to those unveiled last September, with the new color likely introduced to boost sales. 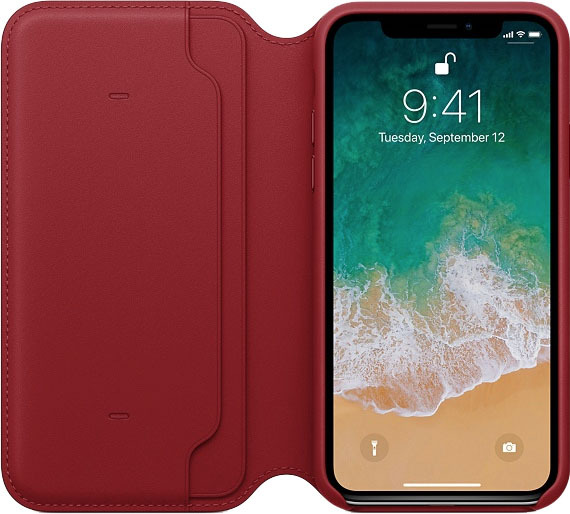 Apple's new (PRODUCT)RED edition iPhone X Leather Folio is also available to purchase for $99 starting today from Apple.com, Apple Stores, and the Apple Store app in dozens of countries around the world. The products are part of Apple's 11-year partnership with (RED), founded in 2006 by U2 frontman Bono and activist Bobby Shriver. The brand and its licensed red-colored products helps to raise funds for The Global Fund, which helps people affected by HIV or AIDS, tuberculosis, and malaria in eight African countries. For each (RED) product sold, Apple makes a contribution to The Global Fund, raising over $160 million to date. Just like people afraid of "bluetooth” effects on health. Again, not tryint to offend you at all, but Apple is not going to change their pipeline and put back touch id. Face ID is the future, and I seriously doubt Apple would have released it without sufficient research on it. Well if I could see the links to the research they did that would be great. I have seen preliminary research indicating there can be eye damage from some exposure to IR beams, but they didn’t study effects of the kinds and strengths of the light in this particular application for biometric authentication in cell phones. Nor what happens over the course of frequent exposure. My husband and I and a few other forum members have already experienced cumulative progressive severe eye pain from iris scanners in smart phones. I do think Apple has a smarter implementation than the iris scanner we used, but right now with no published data to consult, I don’t care to trust the gift of eyesight to this particular application of LED laser technology. My husband is fine with it, that’s his choice as an adult. The kids are a different matter. Already, Apple’s particular presentation of OLED has landed some forum members in the ER or their doctor’s office with severe migraines, despite their never having experienced migraines. This type of OLED has been used before. Yet Apple didn’t seem to anticipate this effect on some of its customers. So I don’t blindly trust any company, not even Apple, to look after my or my family’s health and safety. The CPSC site is filled with recalls due to reports of death and injury to customers from products that had been successfully marketed for years. Like the crib I used for my own baby. If I want to buy the X Plus, which I may very well want to do, I'll just sell this one and buy it. No big deal. Because there is no definitive answer from ophthalmologists on whether the Face ID projector tech is safe for the eyes of my kids. Or us adults for that matter. Insufficient data. So not every single person who likes iPhones is sold on this roadmap for the iPhone’s future, especially if they’re looking for a phone for their teenagers or even younger kids. I’m hoping by the time our 8’s need to be replaced some studies will have been done on this specific application of this specific light emitter and we will know more. Or Apple will come to their senses and include Touch ID back in. I wonder if this will be the very last premium iPhone that uses TouchID. I suspect that people who prefer TouchID and want to delay switching as long as possible will end up buying this phone just for that reason. Hell, I have an iPhone 7 Plus and even I'm tempted. I like the fingerprint sensor too much to switch yet, I use it for everything, and too many complaints about face id not working with a lot of the apps yet for unlocking and authorization. I just ordered the red 8 plus, I'll keep this one for the two years, pay it off and pass it down to my daughter. By then everything will be face id and implemented across all the apps and platforms. I don't mind waiting for something to be perfected before getting it. Good response... and my eyes are already on the slippery slope from too much time looking at screens all throughout my day as it is. Don’t need one more thing helping me along, lol. I’m really loving the red-black combo. Kind of regret getting a silver 8 Plus. The white front is okay, black was better. I’m going to wait to see it in person before deciding what to do. They will probably discontinue the Product RED version before the 2018 iPhone releases, otherwise I’d definitely wait until that time. Decisions. Decisions. Definitely a sleek color, especially with the black front. Tempting, but I'm not sure I could deal with the bezels as I've had my X since launch. Can you imagine if they released a red X? People would be going bonkers on whether to sell their current X to get one and the folks on the fence would pull jump on it. By people, I mean the usual lurkers on here because the general public could care less as they slap a giant otterbox case on it. Grumpy Mom, your concerns for your children are well placed. No one has the right to dismiss them without irrefutable scientific evidence to the contrary.